Karaoke is the best way to enjoy get togethers with friends and family at parties, weddings, birthdays or any occasion. Whether you’re just starting out or a professional singer Kanto Karaoke is an easy program that lets you turn your Mac or PC into a Karaoke machine. With Kanto you can play any of the most popular music file formats for karaoke. 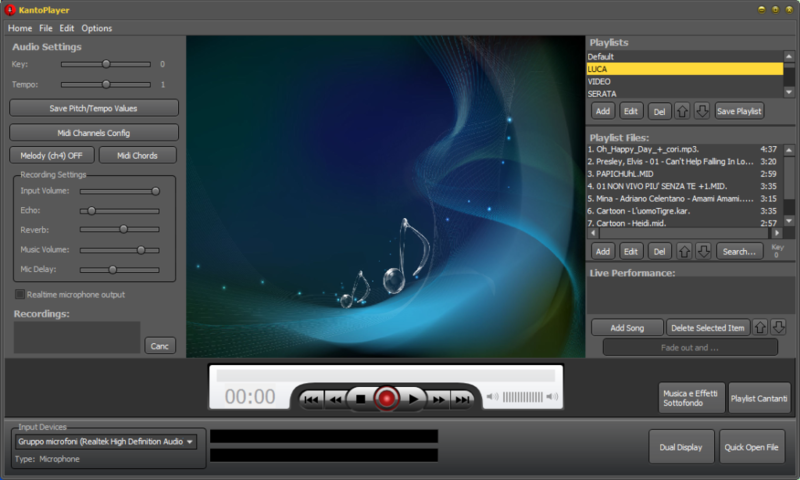 Like midi, kar, mp3-karaoke, cd+g, mp3, kfn (karafun) or video files for free from Youtube. Kanto will give you on-screen karaoke lyrics and show it all on another monitor or TV as well. 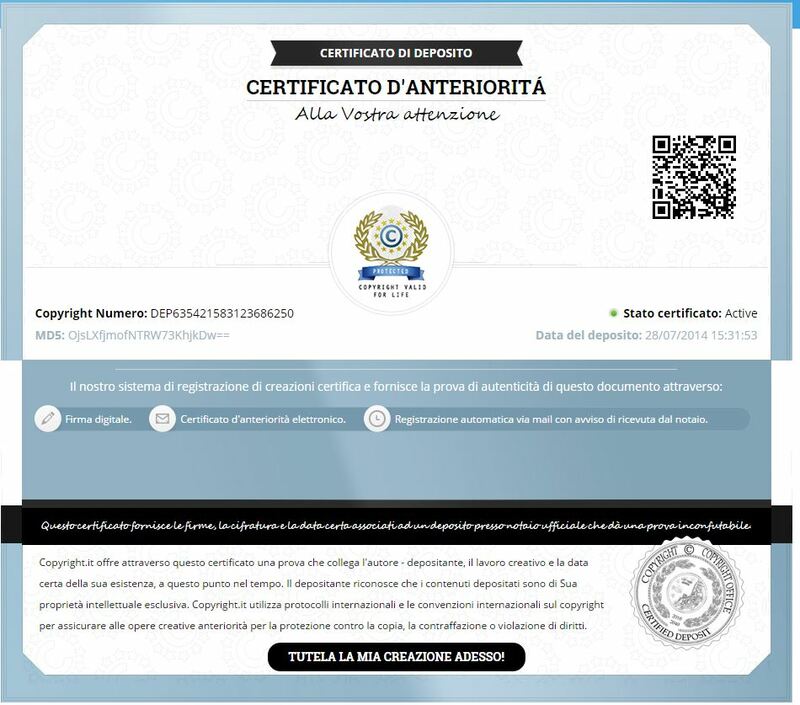 The interface is very clear and intuitive because all the features are within reach! If you want to organize a real karaoke contest, you can say goodbye to the leaflet on which to note the name of the singer of the song etc… Now with Kanto Karaoke everything is done in a automatic and simple way. 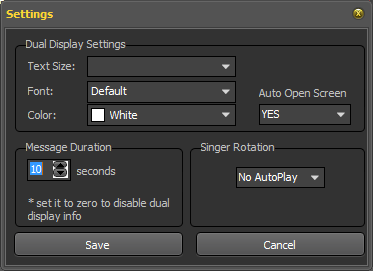 Clicking on ADD button you can add a new “singer” entering its name, song (selecting it from your PC or playlists already created within the program), and setting the tone of the song itself (leaving zero remains original). This announcement window is displayed by default for 10 seconds before that song starts. However, you can change this duration by clicking on “Settings” and changing the “Intro Message Length” value. You can also change the size of the text, set the color, and enable / disable the opening of the accouncement window. Below you can activate also the autoplay for “Singer Rotation“: at the end of the first song, the program shows who is the next singer and automatically starts the second song, and so on…. What are you waiting for? 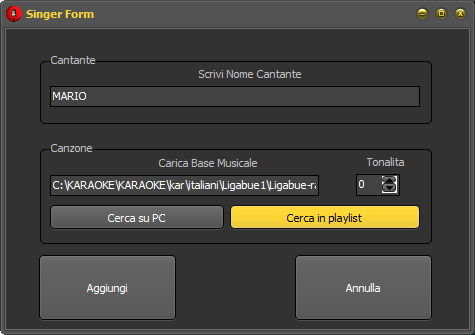 Try to organize a karaoke Party with Karaoke Karaoke and you will see how easy it is. If you do not have any karaoke song, please read this article and you will know the best way to download karaoke songs for free on your PC. You can create a playlist and upload all your songs there. In this way you will be able to use the “Search” feature in the software to find and open a song in a fastest way! how do you add more songs to a particular singer, or you can only do one song per singer. How can I create a song list for singers to sing from? I meant the song list for singers to see all my songs and decide which one they will sing. Like a folder. 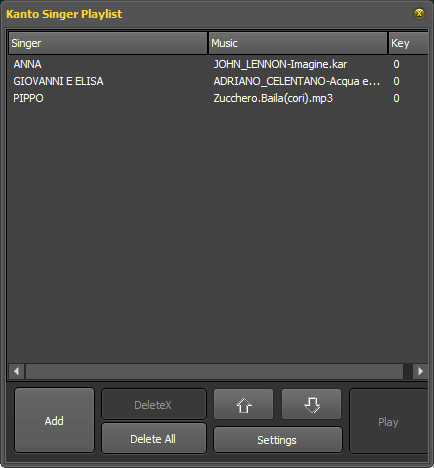 You just have to create a playlist in the program with all your songs/database. Then you will be able to easily find songs with the “search” feature. I really like the ease of use in the trial version. For a Professional KJ, who has tens of thousands of karaoke tracks in a folder structure with many sub-folders, and sub-subfolders of sub-folders, can these all be added into single playlist (or equivalent) so that the entire karaoke library is searchable? Thanks very much.